All Titles Free For Four Days! Kindly follow my blog to keep updated on sequels to your favorite title. Happy Reading! 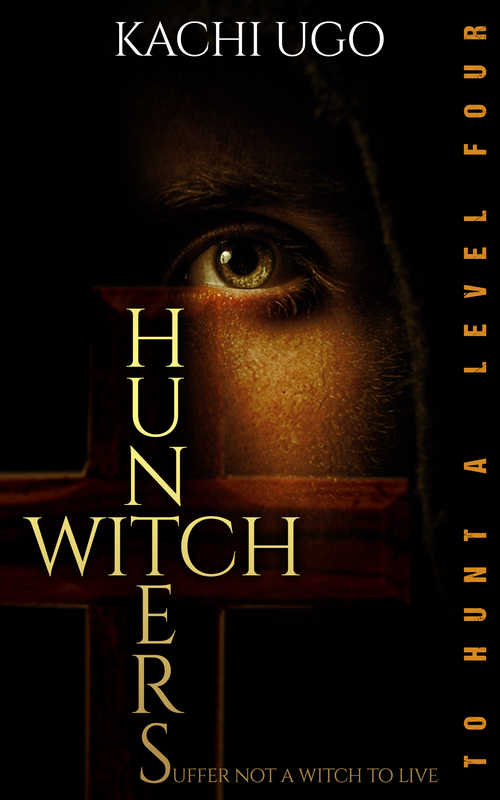 Witch Hunters: To Hunt A Level Four – COMPLETE STORY! The witch hunters have existed for as long as witches and witchcraft have existed—since the first man, Adam. Now Femi Johnson is part of this ancient sect whose sole purpose is to fulfill these ancient words: suffer not a witch to live. But Femi Johnson is a junior witch hunter, and he wants to be more. However, when he discovers a bodacious, evil plot by an extremely powerful coven of witches, he realizes that being more is not always good. Available at Amazon, iBooks, Scribd, and Smashwords. The wait is over! You’ve read a few scenes, now here’s the whole story! As the last words left her mouth, so did she live the world of the conscious: with the soft exhalation of breath. Femi laid her head to rest on the floor and sprung from his feet. He jumped over the chasm and made his way carefully to the parlor. Save for the deep trench in the floor, which revealed dark earth, and the crack in the wall, which revealed the street, his sitting room seemed untouched by Destruction’s presence. Femi located the keys to his 2009 Toyota Land Rover. He ran out the house, down the side of the building to where his car was parked, along the length of the building. From this side of the house, it didn’t look like anything had happened to the building. The vanilla paint hadn’t even cracked. Femi entered the black car, powered it up, and drove it to the front of the house. He ran back into the white room, where he hoisted Scarlett’s form onto his shoulder and carried her into the car. When she was lying safely in the back of his car, he went back into his house to see what he could salvage from the mess. Rubble littered the floor. Femi retrieved a black backpack from his room, which seemed to be intact, and packed a lot of money from his safe. He also packed two changes of clothes, his cell phone, a tooth brush, and his 9mm shot gun. His progress back to his car was slow as he took time to espy properly, the extent of damage Destruction had caused to the building. It was extensive. Through the crack, he could see all the way across to the very end of the building, where a smaller bungalow was built. Back outside, people had begun to notice the structural changes made to the building. Femi got into his car and drove out the compound. As he navigated the highway, he couldn’t help but feel that he was being followed. Two hours after Scarlett had given him the address, he got to Lagos Island, where the address Scarlett had given him was located. He met another traffic gridlock which he had to grind through before he exited the highway into a residential neighborhood. It was a structure that spoke volumes. It spoke of a time lost, when it had hosted hundreds, who would come to worship God. It spoke of a time when children danced around its now desolate compound. It spoke of a time when the leaves where green and the windows gleamed in the rising sun. Now, it was a shadow of the past. A mere ghost no one sees or recognizes. The church’s white walls had undergone a most horrid metamorphosis to the incredibly repulsive black and grey it now was. The structure seemed to be composed solely of ply wood that had rotted to the very core, hence, threatening a collapse. The yard around it had four spiny trees whose branches resembled the tentacle of a giant malevolent creature, whose purpose was to prey on the dying and the old. On this yard, black, crispy-looking leaves carpeted the floor so that it made the church look like a celestial dark house. Femi would have drove on and forgotten the abandoned church had he not noticed Simon and two other strange men walking up the small path towards the old front door. They seemed to be doing so in a manner suggestive of secrecy. Their furtive eyes swept the surrounding houses and the street. Simon’s eyes fell on Femi’s passing vehicle, but since the vehicle was passing and its occupants prevented from view by the darkened windows, it didn’t hold his gaze for too long. Femi made a circuit round the church and came to its door once more. By this time, the three men were gone. He pulled into the driveway and parked beside the church. Gently pulling Scarlett’s unconscious body from the car and placing it on his shoulders, he carried her to the front door and pushed it open. The moment the doors swung open, five bright blades were thrust to his face. The blades held, a fraction of a second from piercing his throat. Femi let out the air that had snagged somewhere along his respiratory tract. They looked young, and they all wore black robes, meaning they were senior hunters. Two were Caucasian males while the remaining three were black; though, Femi couldn’t tell where they were from. They looked like foreigners. “He’s one of us.” Femi immediately recognized Simon’s voice, even before he saw him walk down the aisle to the door. The hunters scattered and disappeared back into the shadows. Simon heaved a sigh and shot him a sharp gaze. Then he looked to the figure he carried and his look of irritation became overshadowed by fear. Femi hoisted her onto his shoulders properly and started down the aisle after Simon. The church auditorium was quite narrow. It had only one central aisle and four columns of pews. Much of the sides of the hall was hidden in the dark, which was where the hunters probably inhabited so as to observe what went on outside the building. Down the aisle to the podium and beyond, they came to a non-descript and almost imperceptible door by the side of the altar. There, they were met by a solitary figure, who sat before the door. He seemed to be in some form of trance as he had his head bowed. The man snapped up and on seeing Femi, he shot to his feet. “Who is he? And who has he got on his shoulders?” His eyes glared with murderous intensity. I’m drawing the curtain here. I’m going to complete the story and publish it, so if you haven’t already, subscribe to my blog to be informed when the book will be available for download. “For who can stand before Destruction? Hath God not said it? Dust ye came from, to dust ye shall return. I am come to return you to dust. And so shall it be, that I return you to dust.” He laughed them to scorn—a sound most loud, most harsh, and most harrowing. O for a thousand tongues to tell of the great terror that pervaded Femi’s soul! Terror so great that he did not realize when Scarlett wriggled his right arm to regain his attention. The mere proclamation of Destruction had forced upon himself a depression so great he struggled ten thousand leagues beneath its eternal weight. Indeed who could stand before Destruction? Indeed, who? “Snap out of it, Femi!” Scarlett roared, a speck of desperation tainting her voice. “Leave him!” Destruction boomed in reply. He smashed one feet into the ground and an earthquake immeasurable on the Richter scale shook the building. Splinters flew as darts everywhere. Loose cement fell to the ground. A gaping crack ran the length of the wall. The house divided along its center and separating, it revealed a deep chasm from which white smoke poured into the world. All these happened in a heartbeat, in a flurry that was beyond the grasp of the human mind. One moment, the house was whole, the next, it was a ruin—the result of a devastating war. “Fear ye not my majesty?” His voice grew more enraged with each utterance. “Are you not terrified by my presence? Worship ye not the magnitude of my power?” Destruction laughed again and Femi could feel himself slinking back into shock. Scarlett sprung to her feet. At first, she whirled around in the dense white smoke, which had placed in the realm of the unknown the exact location of Destruction. But then, she positioned herself in the direction where his voice had last reached to them from. All Femi could perceive of the hunter were her fists, which were symbols of her fearlessness—something Femi had kicked to the curb the moment Destruction made his appearance. Destruction roared in laughter—so hard, that a slight tremor developed in the earth. “What is it ye folks say nowadays—are you kidding me?” He laughed hard again. “And where is He now?” Destruction interrupted his fits of laughter to proclaim. Shortly after, he continued. Femi could imagine him laughing on his belly, enraptured in boisterous mirth. However, he felt like something was changing in the room, insidiously, surreptitiously, unrevealed and covered in a holy darkness, that change flourished. Destruction choked. There was a startling silence. A wind began to stir in the room. “No—wait! What are you doing?” Fear filled Destruction’s voice. “No! Stop that!”—the wind grew to a noisome whirl. Destruction screamed in anger and fear and marched towards them. The smoke parted his way with forceful exertion, however, an invisible force got a hold of him and held him bound in unseen fetters. He struggled and experienced no avail. The roar of the hurricane in the room drowned her last words. The hurricane swept Destruction off the ground. The smoke, though it still veiled everything perceivable by sight, swung around Destruction with the speed and violence of the winds. The hurricane leapt to put into execution Scarlett’s command. It sprung off the ground and carried Destruction, who still screamed—bound—in fury, out of the room. Soon after, the smoke dissipated. Soon after, Scarlett collapsed into Femi’s hands, weak and falling unconscious. Her face had wetted with perspiration; every muscle was slack as though she was on the brink of death. The very breath of her nostrils were shallow and hot. For a moment, Femi shifted his gaze from her pale face and swept in his surroundings. The room had totally cleared of the smoke: it was a sight of true and utter destruction, a scene of profound desolation. The house had separated along an axis less than four feet from him, revealing the parlor, the compound, and the street outside through a gaping crack. The crack ran for at least twenty feet into the ground, forming a chasm. Loose sand and rubble fell to the ground at the corners; the ceiling threatened to cave in. It would, Femi noted, in a few minutes. Femi looked back down at Scarlett and saw that she had been looking on him the whole time. She smiled, her eyes drooping. “Twenty six, Allen Avenue. Take us there now.” She paused. Femi saw from the tightness at the corner of her eyes that each word she spoke required an exertion of strength. “Ask for Jonathan,” she breathed, “he can locate the witch and you can help him. Destruction will be back.” As the last words left her mouth, so did she live the world of the conscious: with the soft exhalation of breath. “I go kill you if you no commot here, now,” the man roared with a sharp, evil look. The short man remained unfazed. “Kill me?” His features took upon themselves a fearful display of fury. “KILL ME?” Then without warning, he vaulted forward. Femi’s breath held in his chest as he watched the short man bring his weapon to bear on the taller man. The machete came up quickly and deflected the shard of bottle. A rapturous gasp rippled through the multitude. For a second, the two men were separated by the force of the deflection; but it was only a second. The two men snarled and attacked each other again. Femi turned his back on the scene. His heart was already pounding away. He had two choices: abandon his bike and run or stay. However, abandoning his bike wasn’t an option he could afford. It had cost a fortune to acquire such finely sculptured piece of machinery. Having made his decision, he retrieved his book and white stone from his jacket. He found a scripture in the book of Philippians chapter four and verse seven, and with his faith, he highlighted: and the peace that surpasseth all understanding. “I believe, I receive,” he muttered. And just as the words escaped his lips, a boldness like an overcoat was thrown on him. Suddenly, he felt like he had power of this crisis. He turned around and marched through the cheering crowd into the safe distance they had left between themselves and the wrestling men. As he approached them, the crowd fell to whispers. And then to silence. The men, who were now on the floor, devoid of their weapons which were strewn about, paused for no reason and looked up at him. There was a confusion in their eyes, like the transient confusion that is the remnant of a long sleep. Femi towered over them. “This is my bike,” he said, feeling his words flow forth from his mouth in waves of irresistible power, exerting irresistible control upon all who would dare listen. “I will mount it and drive away. And as I do, you will not fight over this matter again. You will forget you ever saw me.” Femi swiveled on his heels and faced the crowd, who looked upon him, aghast. “And that goes for all of you.” His hands traced an arc along their faces. The men remained locked in a motionless wrestle, looking too stunned to fight. The crowd had stilled, not a muscle moved, yet they looked at him, eyes full of wits, minds muddled by a power that was beyond them. It was peace: power over crisis. Femi felt a smile slither onto his face. He walked around the men on the floor and mounted his bike. Producing the keys to his bike from his pocket, he fired the engine. He remained motionless, unnecessarily, on the bike for a full minute, just to remain within the vicinity of his great display of power. It gave him pleasure to see the multitude remain gripped by an unseen force—a force he commanded. He revved the engine. The moment he started moving, they parted, creating a path for him. He drove through the path until he was through the last row of people; he zoomed off into the early morning traffic. Before he turned into the highway, he looked back and saw that the crowd had begun to disperse. Femi chuckled. Power over crisis. He got to his house less than twenty minutes later. It was a respectable three story building, home to four families and two singles, him included. His apartment was the forward one on the ground level, near the gate, the one with the small verandah. The house was empty and silent—in fact, the whole street was silent, unlike where he was coming from. Most people were already at work or toiling in the traffic snarl that stretched the distance between Ikorodu and Mile Twelve. Femi brought the bike to a stop in his parking space and dismounted the vehicle. He basked in the euphoria he felt about handling the situation with his bike until he got to the door that led into his house. The moment he was by his door, memories of last night’s encounter came back to him forcefully. Bitterness settled in afterwards. He turned the knob and let himself in. Once he was sure the door was locked behind him, he threw himself on top of his sofa. There was a level four on the loose. How had he survived? Simon said he had been spared. Why? 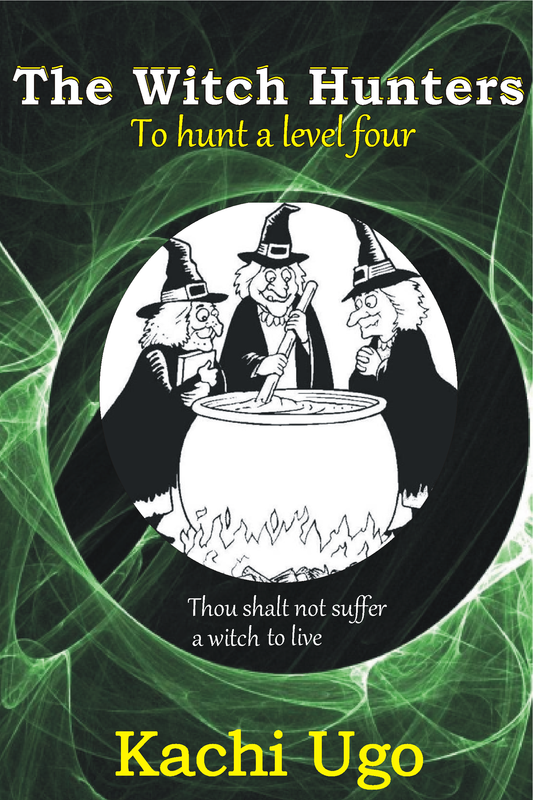 Witches, especially level fours, didn’t just do anything. Whatever they did, it was for a reason. For what reason had he been spared? As Femi yet pondered these things, he heard a most peculiar sound come from his white room. Peculiar because it would have belonged to a man had his mind followed logical reasoning. But Femi refused to believe there was a man in his house. Maybe because the ramifications were too severe to contemplate; maybe because he was scared. He remained riveted to the sofa, his breathing becoming a terrifying sound to his ears. The sound came again. There was someone walking in his white room. The hellish terror of a thousand damned souls gripped his body. Why, he did not know. Femi wrestled with his jacket to get out his faith and his scriptures. He sprung to his feet once he had the two sacred objects in his hands. He had the scriptures open to the armory in Ephesians and activated the sword of the spirit. Femi held the white gleaming blade to his face and drew nearer to the door. The door handle looked as pale as death. Femi understood quite well that the moment he touched that handle and confronted this trespasser, death could fall on him swiftly. Grabbing a hold of his mind before it became ensnared by fear unspeakable, Femi gripped the handle and twisted. He rushed into the room until his eyes fell on he who had entered his house. Then, his legs lost its impulse and froze, leaving his body standing immobile at the center of the room. There, before his mirror, stood a tall figure draped in a red robe. This figure became aware of his presence and yet remained facing the floor-to-ceiling glass. Femi peeked beyond the slender shoulders into the mirror and observed that this figure was that of a lady; a stunning half caste. Her eyes darted across the surface of the mirror to look into his: they were a storm of burning concentration. A swirl that could only be described by two word: eternal deepness. He felt the air charge with power; power that was quickly building. The lady straightened her robe and turning to face him, she said, “I am Scarlett. And I have come to slay you.” Without warning, she vaulted into the air. Around her, gravity seemed to lose its meaning because she skipped higher into the air, when she should have been falling. At the top of her ascent, a blade much similar to his appeared in her hands. She descended upon him with a snarl, a poised blade, and a deadly beautiful face which wanted nothing more than to see his head roll off his body. Her read robe rapped in wriggles around her in an unending song of his demise. Her blade struck his with a blinding flash—a flash that disoriented him. A sudden space emerged between his palms. Where the sword had been a moment ago, held in his grip, a volume of air occupied. His palms clasped each other, his sword shattered by the force of impact. Still shocked, he felt a fist strike his chest, sending him reeling, breathless, to the back of the room. When he finally regained his wits, he found himself on the floor and a blade pointed to his forehead.